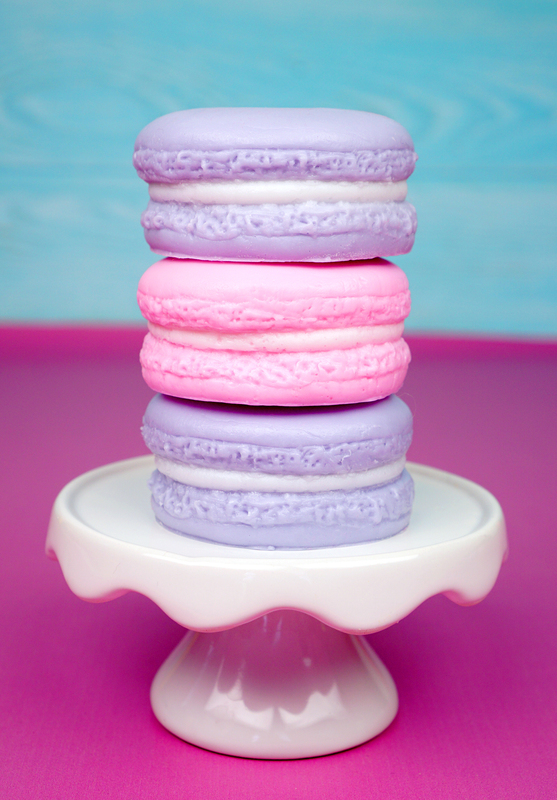 These Easy DIY Macaron Soaps make a great homemade gift idea – perfect for Mother’s Day, birthdays, Valentine’s Day, or ANY day! 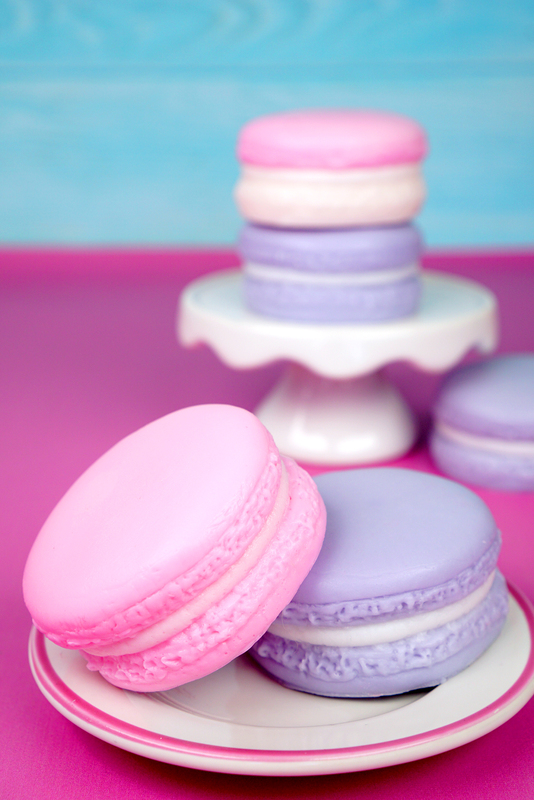 Make macaron shaped homemade soap in any color and fragrance combination you can think of – SO much fun! I’ve been a huge fan of making my own DIY bath & body products for many years now, and lately, I have been having a TON of fun playing around with different soap molds to create some unique eye-catching soaps. These adorable macaron soaps are one of my most favorite soaps that I have created recently – made from a rich and luxurious goat’s milk soap base (you could also use shea butter base), it leaves your skin feeling fresh and silky smooth! 2) Each soap is poured in three different layers, so you will need to wait for the previous layer to firm and set a bit before pouring each subsequent layer. Slice 1 lb of soap base into small cubes – the large block of soap base is smooth and silky, and it cuts easily with a kitchen knife. 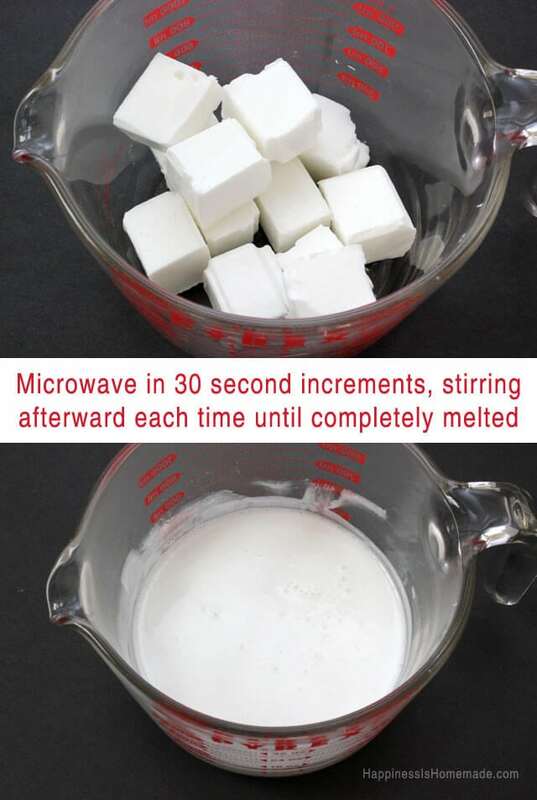 Place 3/4 lb of cubes inside the measuring cup, and melt in the microwave in 30-second increments, stirring well to ensure that the soap is completely melted. 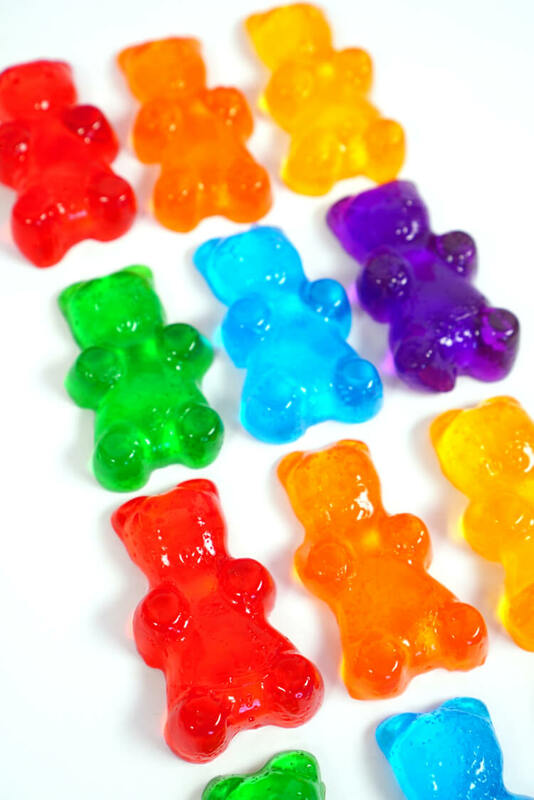 Add 10 drops of fragrance oil and a few drops of soap colorant, and mix well. Pour into the bottom of the silicone macaron mold (you will be able to clearly see where the “filling” line is) and spritz the top with alcohol to remove any air bubbles. Allow to sit undisturbed for 20-30 minutes before proceeding to the next layer. In a second measuring cup, melt the remaining 1/4 of soap base. Add colorant and/or fragrance oil if desired. Spray the top of the previous layer with alcohol once again, and then pour the melted soap “filling” layer into the mold. Spritz with alcohol once again to remove air bubbles. Allow to sit for 10-15 minutes before pouring the next layer. Repeat the process for the last layer, re-melting the remaining soap base in the measuring cup. Cool, unmold, and repeat! You should be able to make 3-4 macaron soaps from each batch of soap cubes. I mean, seriously, these are the cutest! 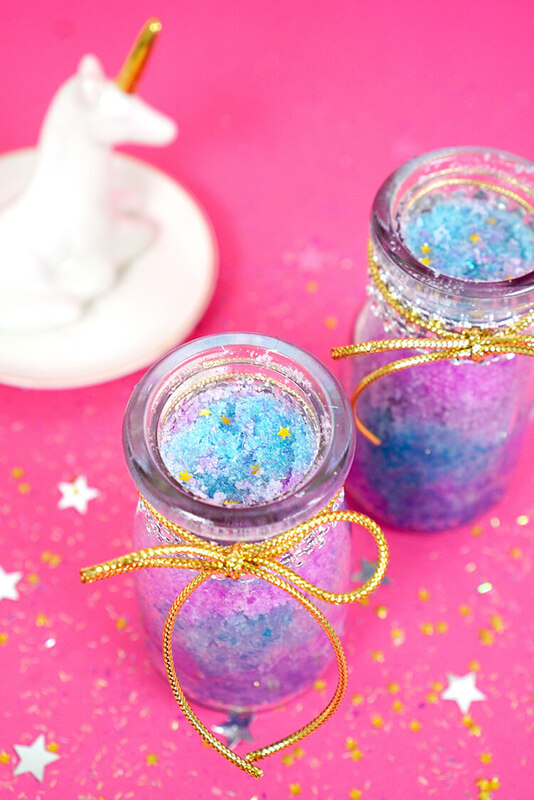 They’d make a fabulous homemade gift idea (especially for Mother’s Day or Valentine’s Day! 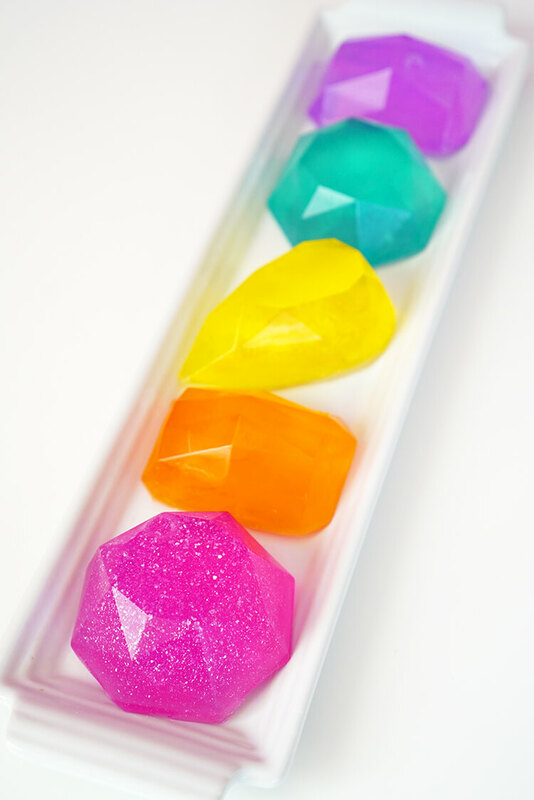 ), and you can make them in any color and fragrance combo that you desire! There are SO many fun possibilities! 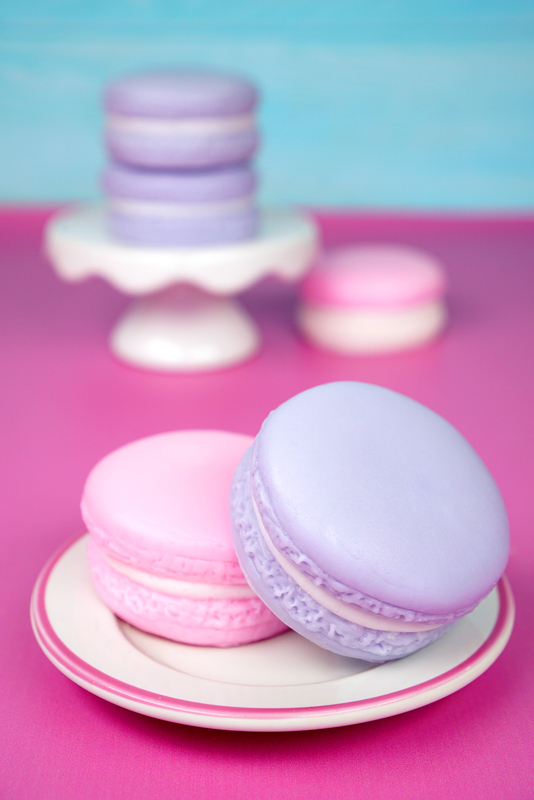 These adorable macaron soaps are so much fun! Perfect for gift giving or for adding some fun and personality to your own washroom! 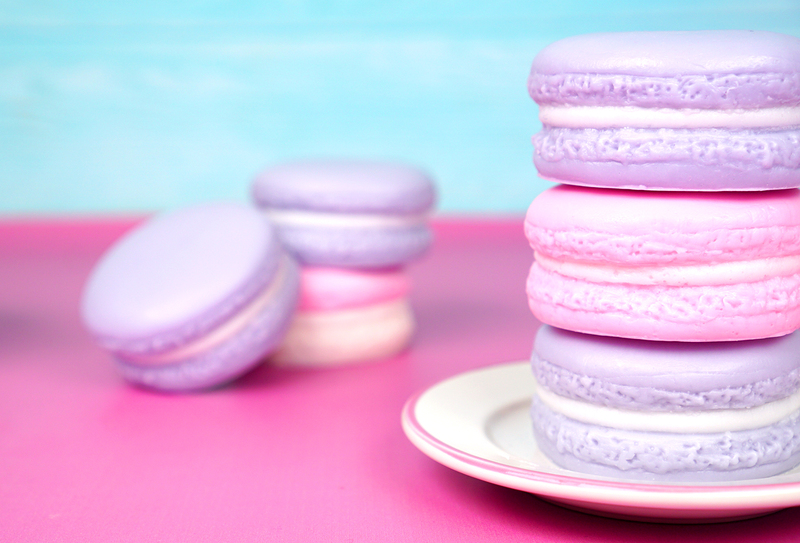 Pin these Macaron Soaps for Later! HI Heldi!! I really like you design and everything, but the mold is temporarily unstocked and I really need it. Is there anyway you can help me find another cute mold?